A microsite for your guest to view and browse event photos. Makes it convenient to download as well as to purchase hardcopy photos from the site. Photos can be made public or password protected for privacy. 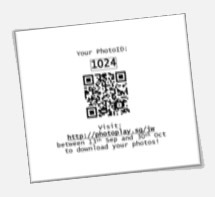 Provide guests with a unique number or 2D-barcode for them to download their photographs easily after the event without the hassle of browsing through tons of photos.